I am delighted to welcome Catherine Curzon to the Regency History blog today. Catherine is a royal historian and blogs on all matters 18th century at A Covent Garden Gilflurt's Guide to Life. She has just released her book, Life in the Georgian Court, published by Pen & Sword Books. 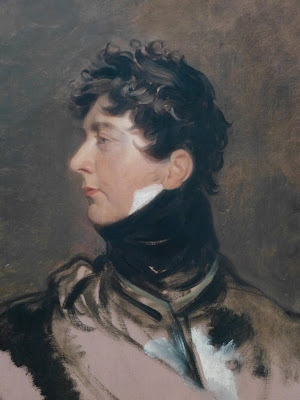 There are few royals as divisive as King George IV, a chap who I spent a lot of time getting to know whilst writing Life in the Georgian Court. A spendthrift, womaniser and seemingly spoiled brat, the Prince Regent (later King George IV) had a passion for splashing the cash. Whether at Carlton House or Brighton, whether buying silver, horses or clothes, he just couldn’t stop spending. The public, exhausted by war, looked on his profligacy with disgust and in Regency England, the fires of revolution began to smoulder. George seemed utterly immune to his public image and nothing dented his enthusiasm for the high life. The fury of the suffering people inevitably bubbled over into action as the walls of Carlton House were daubed with graffiti. Mobs surrounded and assailed George’s carriage and the crowd hissed and spat at the prince. As things became more inflamed, his vehicle was stoned and few could be found to sing the praises of the embattled Prince Regent. Things had hit a new low earlier in 1817 when the prince was returning from the state opening of Parliament. Proceeding along Pall Mall on his way home to his opulent home of Carlton House, a projectile suddenly shot through the glass of his carriage window and past the Prince Regent’s face, missing him by a hair. What was initially thought to be a hurled stone was soon revealed to be something just a little more worrying. Lord James Murray, who had been with the prince, reported that the window of the vehicle showed a most peculiar sort of damage in the form of two small holes. These were not the sort of irregular holes that a stone would leave but were, he believed, the result of an air gun pellet piercing the glass. At the Parliamentary enquiry into the apparent attack, Lord Murray noted that the glass was later completely shattered by a number of large stones hurled by the crowd. He also confirmed that no bullets were discovered in the carriage itself. Indeed, no attacker was ever apprehended and the supposed gunman remained at large. One or two of George’s acquaintances raised an eyebrow at the claims of a shooting, believing it more likely that the panicking prince had merely overstated a stoning for dramatic effect. Still, whatever the truth of the matter, a Prince Regent being stoned, hissed and shot at in the street was not the mark of a happy nation! Things for George would get worse before they got better, but that is a tale to be told another time! 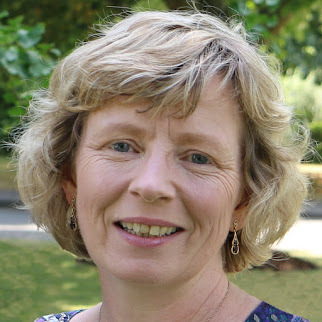 Catherine's work has been featured by publications including BBC History Extra, All About History, History of Royals, Explore History and Jane Austen’s Regency World. 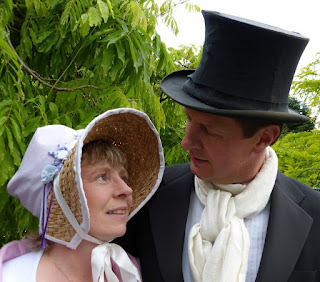 She has also provided additional material for the sell-out theatrical show, An Evening with Jane Austen, which she will introduce at the Royal Pavilion, Brighton, in September (tickets are available here). 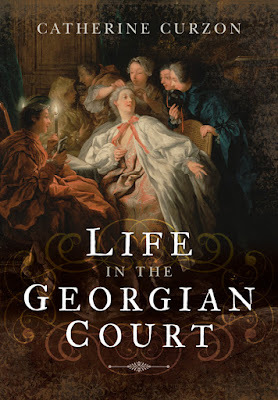 Her book, Life in the Georgian Court, is available now from Pen & Sword Books, Amazon UK, and the Book Depository and available for pre-order on Amazon US.